Happy Friday, friends! How often do you salivate over those gorgeous cocktails (and desserts and hors d’oeuvres…) featured on the back of each issue? The delectable delights, designed by our friends at Paula LeDuc, are the cherry on top of each heart-fluttering edition and we’re so excited to share their recipes with you! For the next few Friday’s we’ll be making a weekend toast with Paula LeDuc to fill your glasses with the delicious details behind these artfully crafted sips. 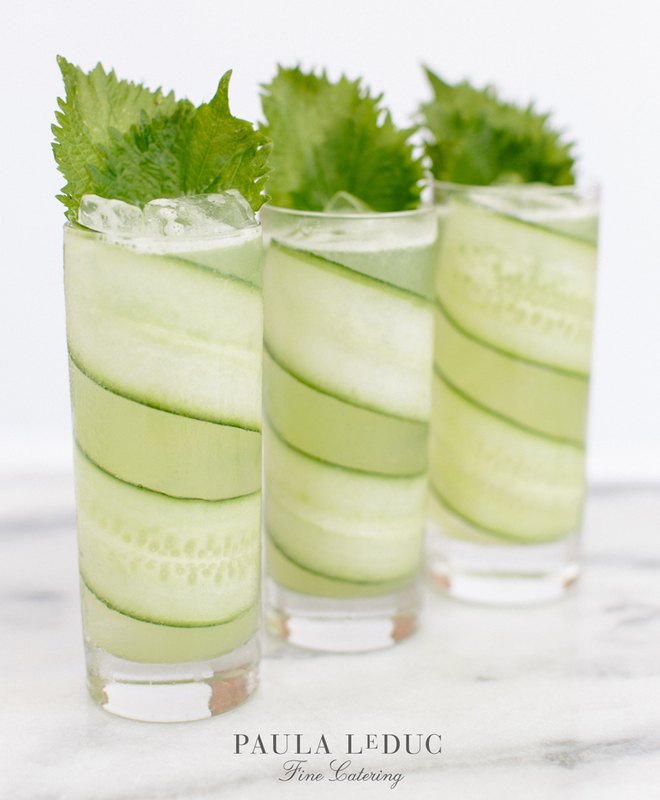 With all sorts of Spring holidays on the horizon, we thought we’d start by sharing the cucumber-infused Green Whisper from Issue No. 10. Cheers! Add liquid ingredients to a cocktail shaker. Add ice. Shake for 10 seconds and then strain into your glass. Garnish and serve. Cheers!